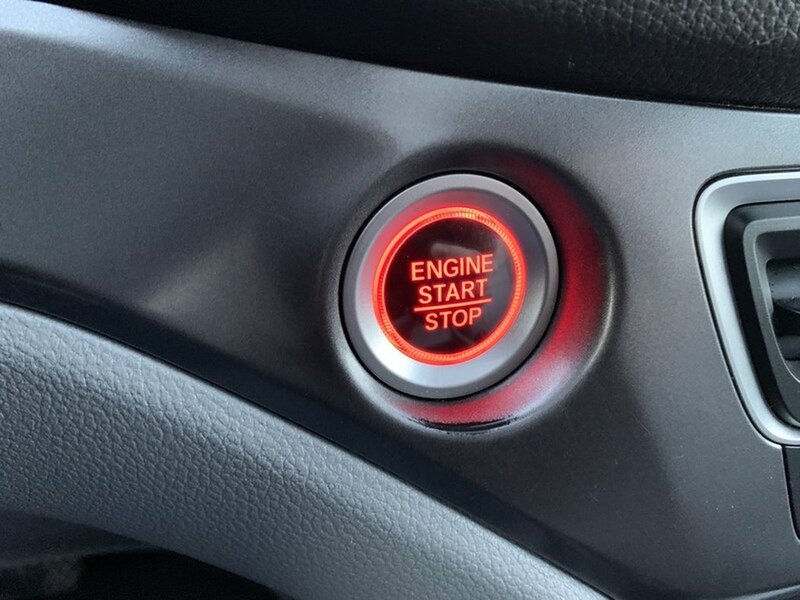 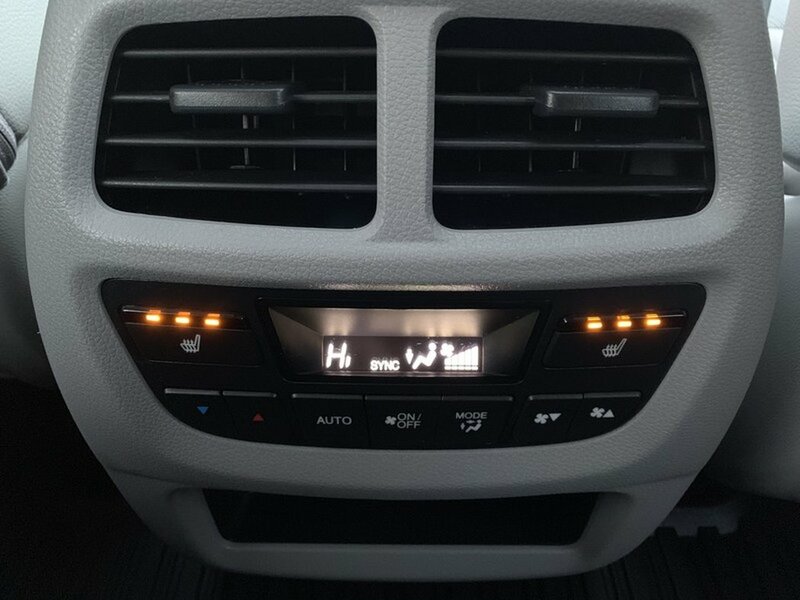 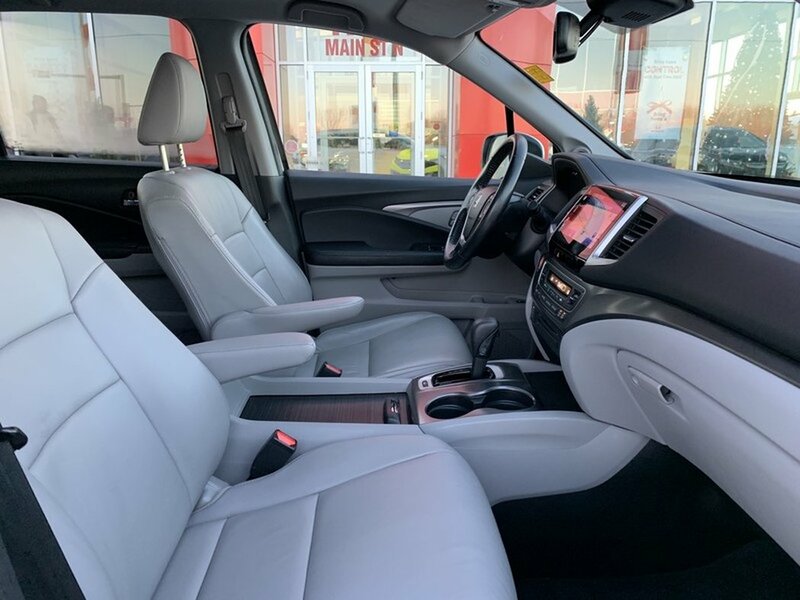 2016 Honda Pilot EX-L NAVI AWD- Push Button | Sunroof! 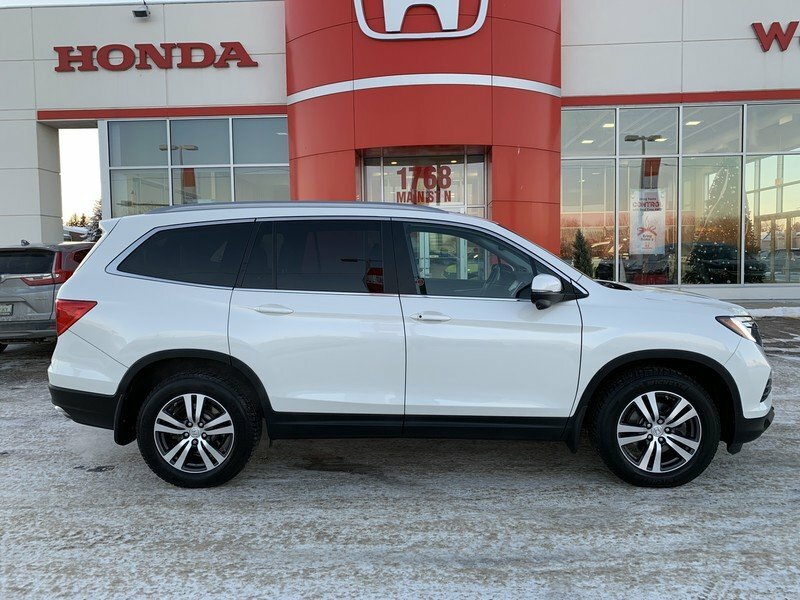 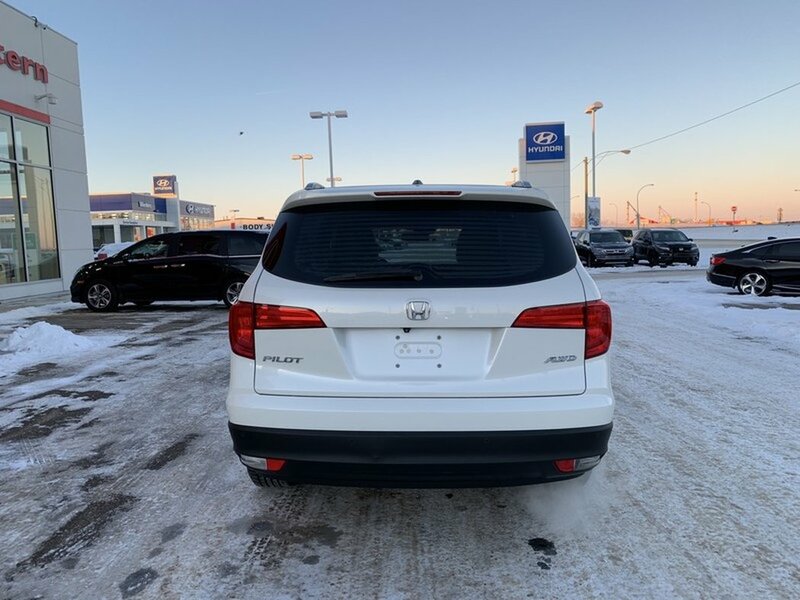 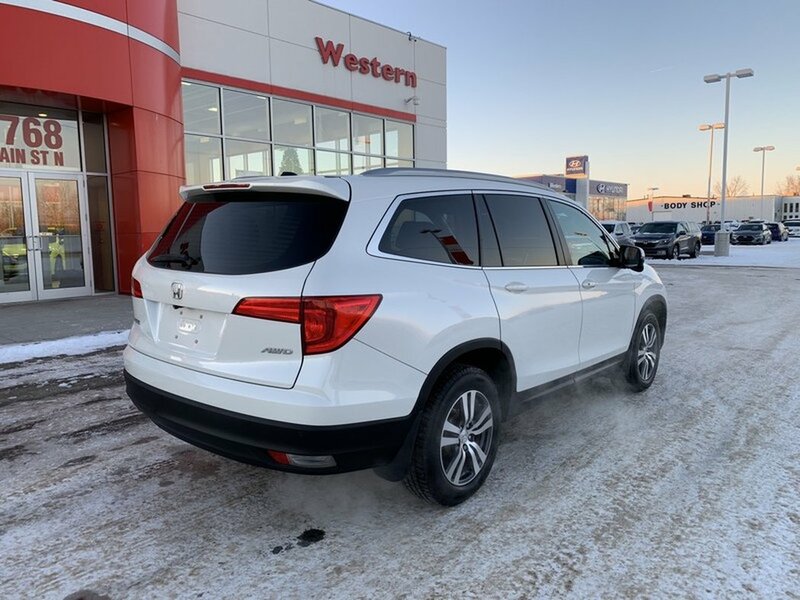 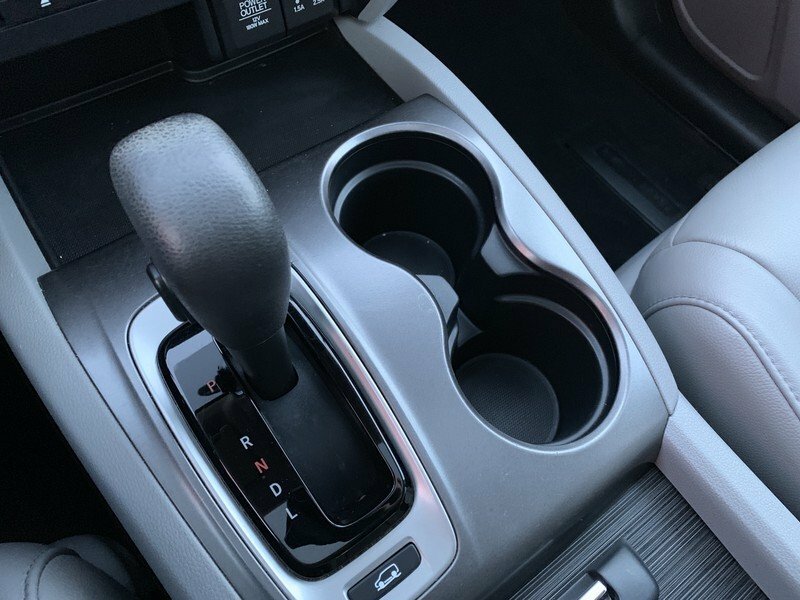 This 2016 Honda Pilot EX-L has been well taken care of by the previous owner. 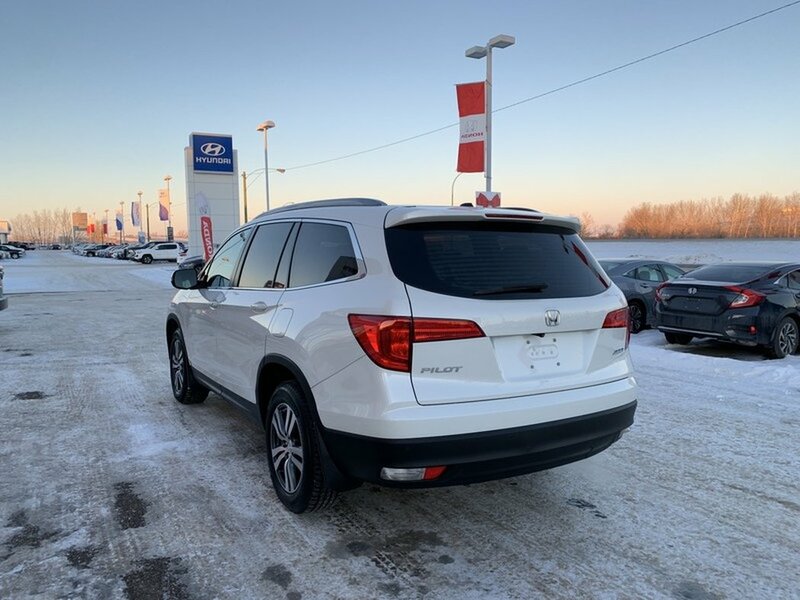 Purchased new from Western Honda. 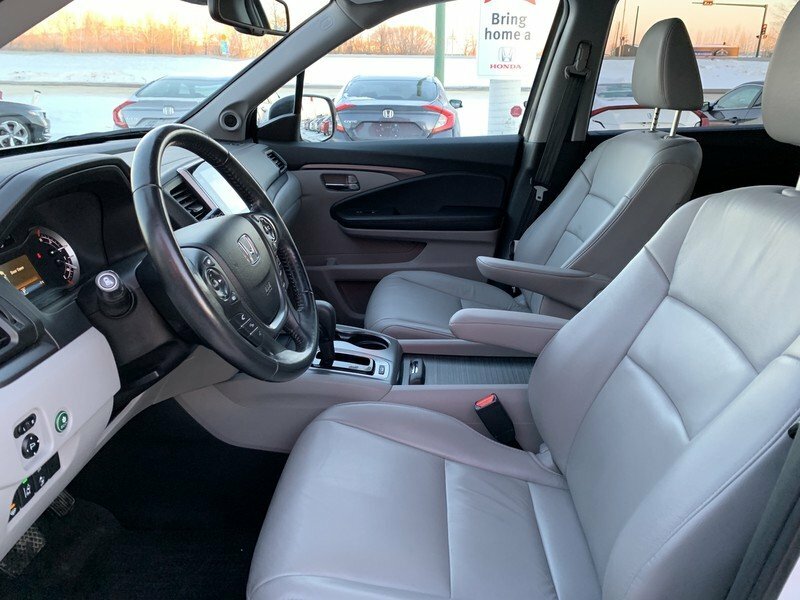 The “White Diamond Pearl” exterior is in excellent condition paired with an odor free light grey leather interior. 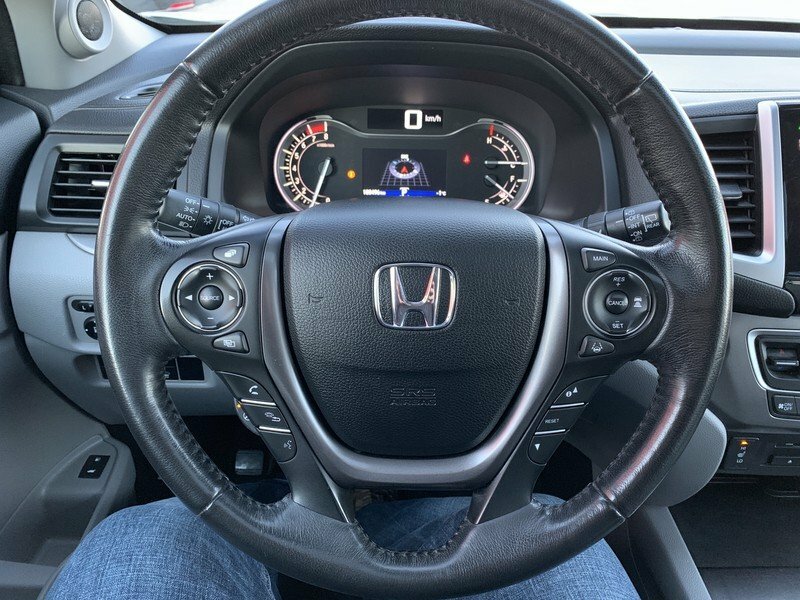 The trusted 3.5L VTEC V6 engine has plenty of power while still rewarding you with 9.4L/100KM. 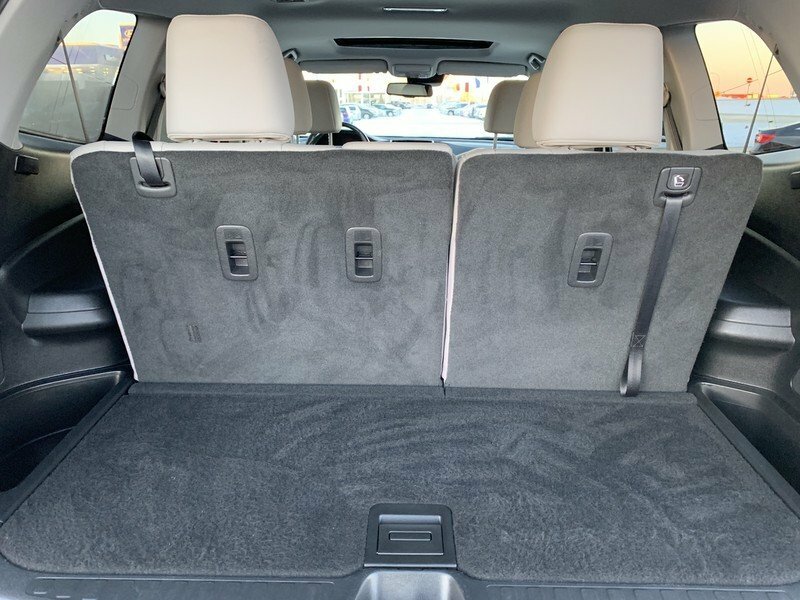 Not bad for an 8-passenger SUV. 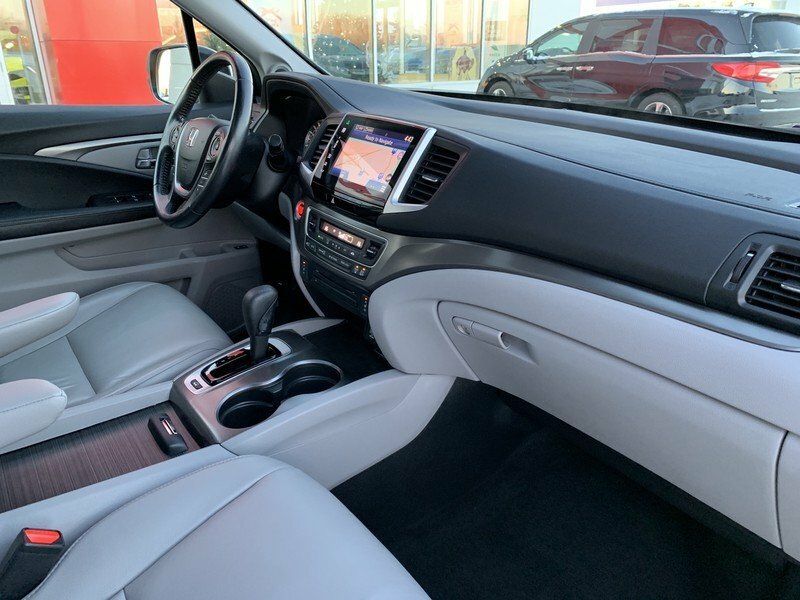 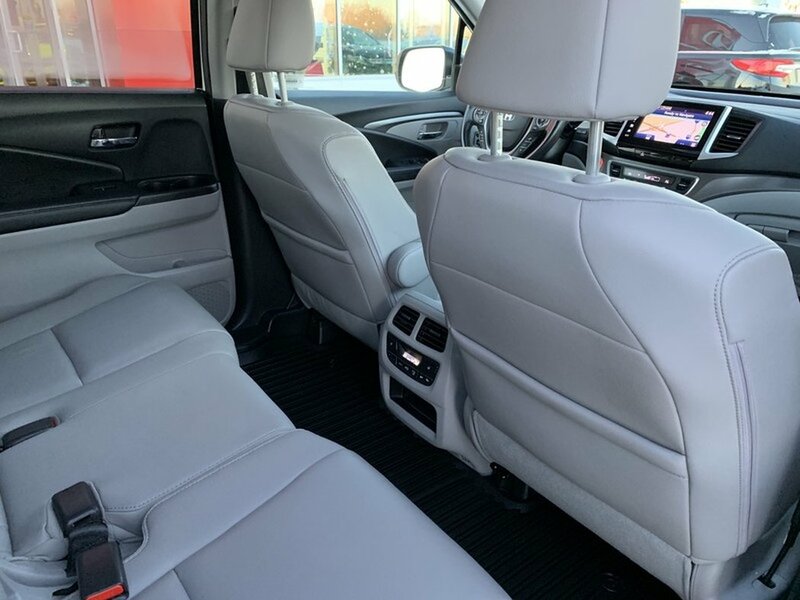 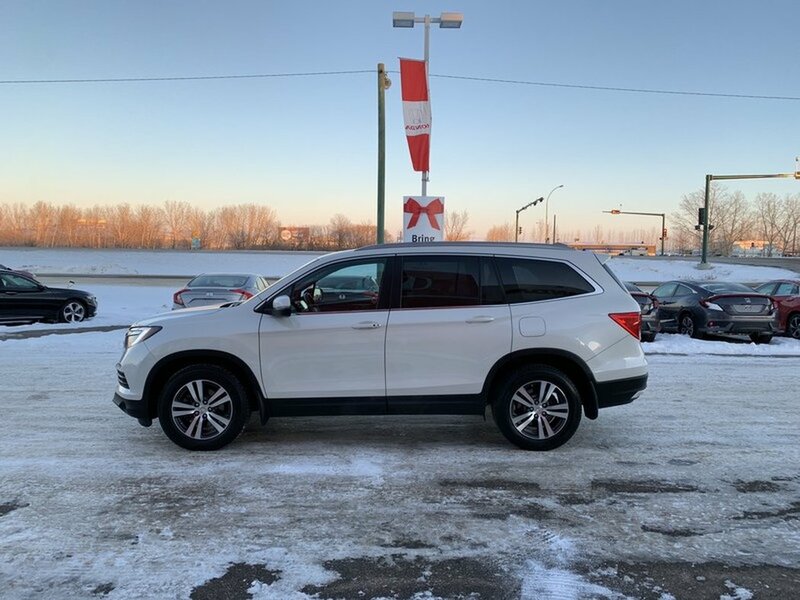 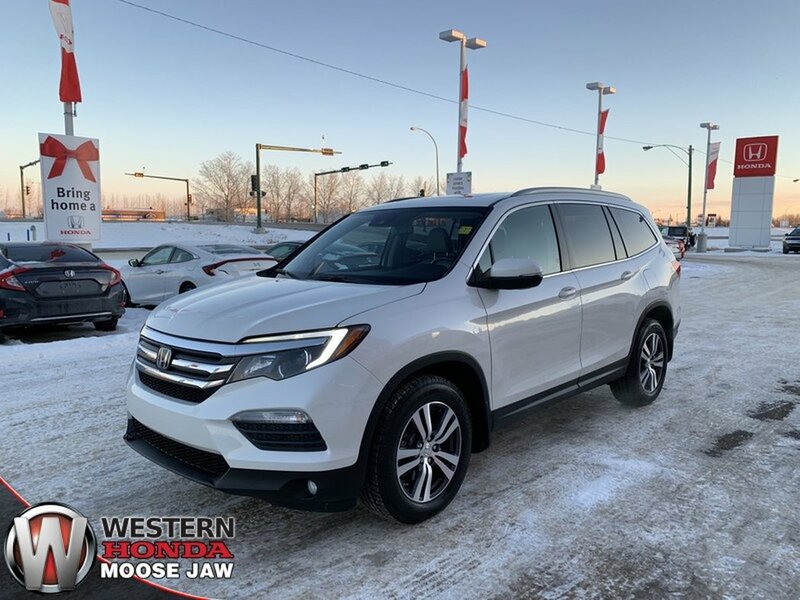 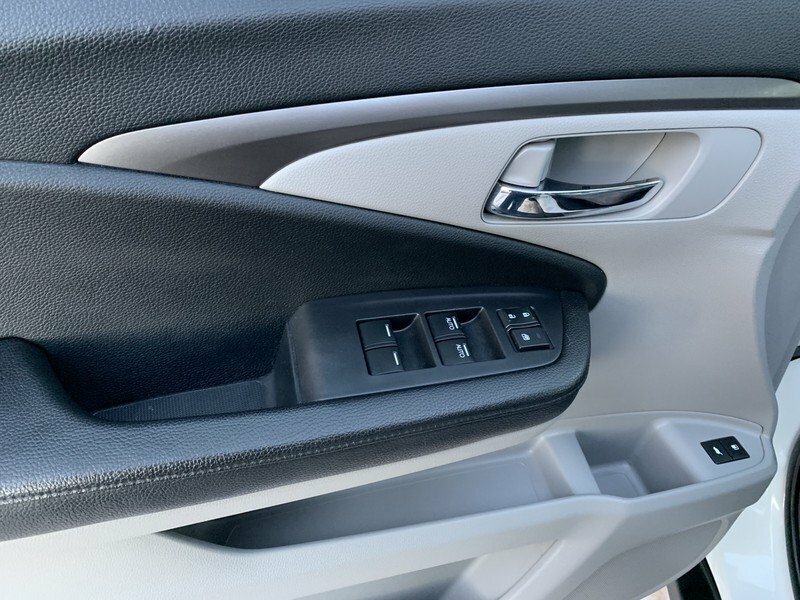 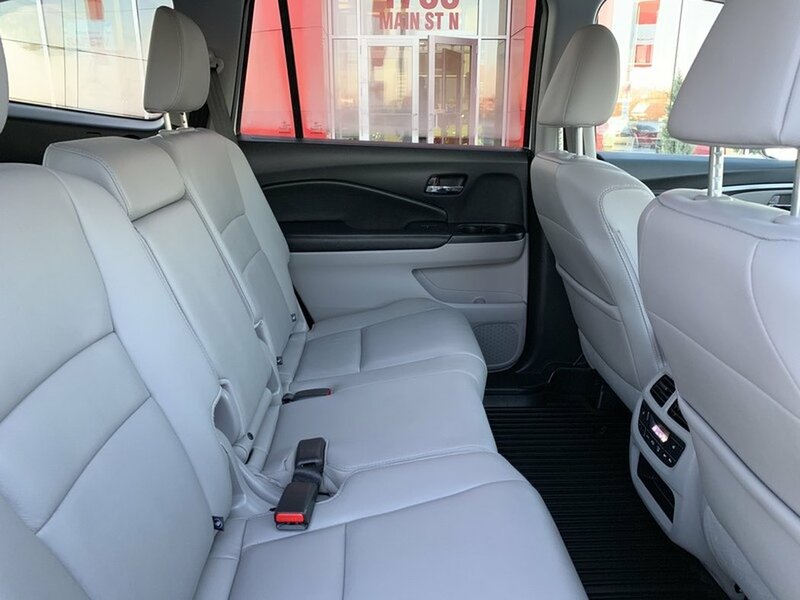 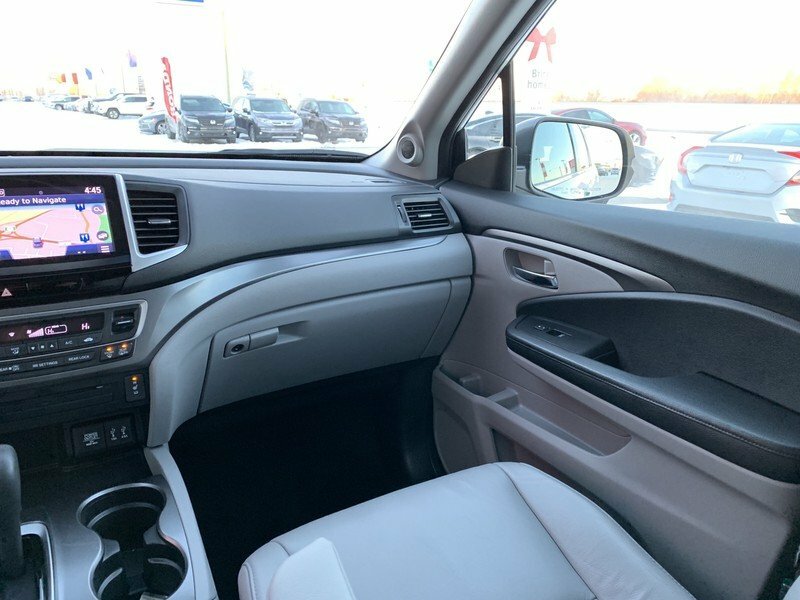 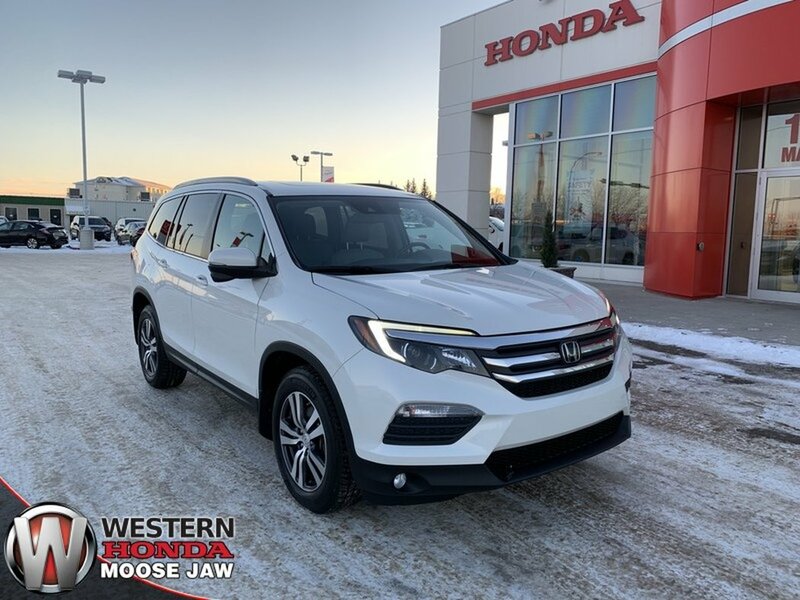 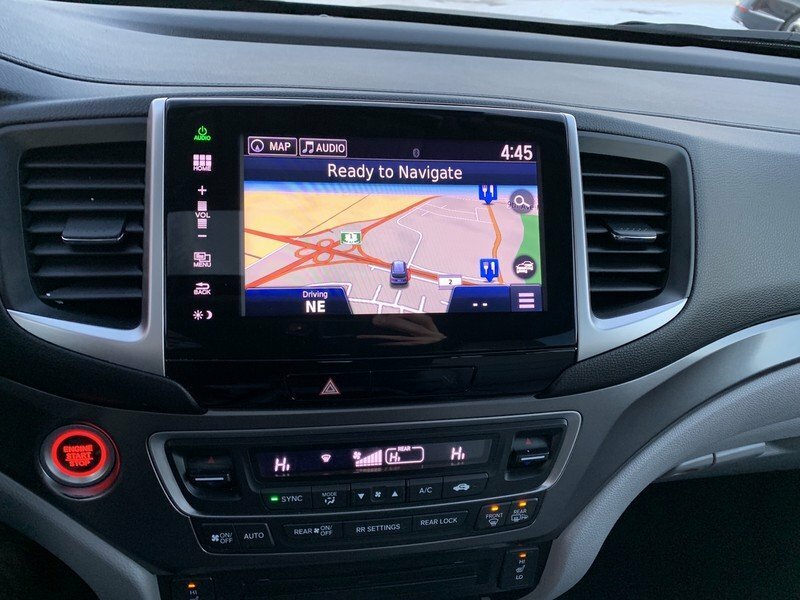 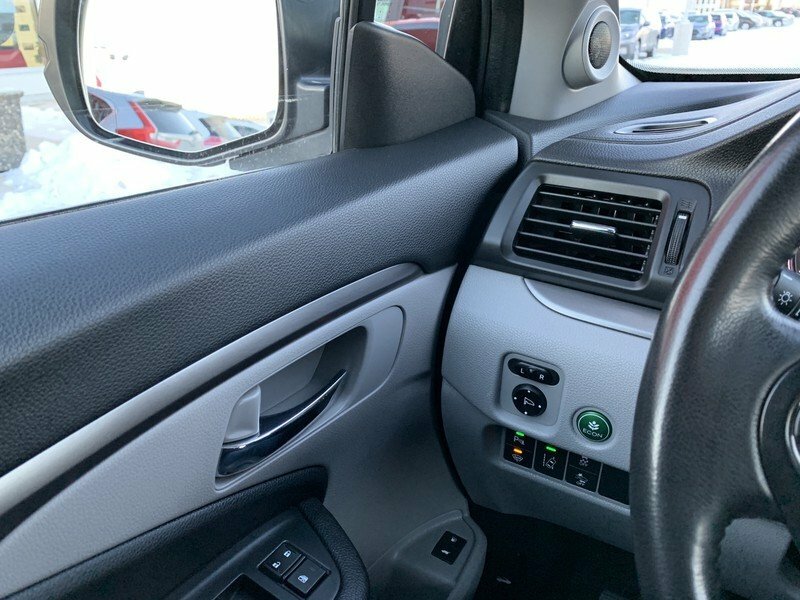 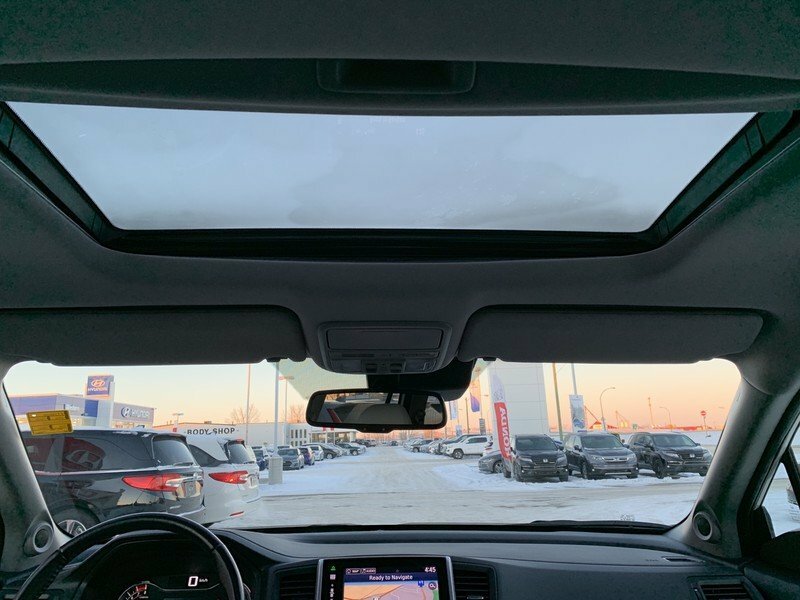 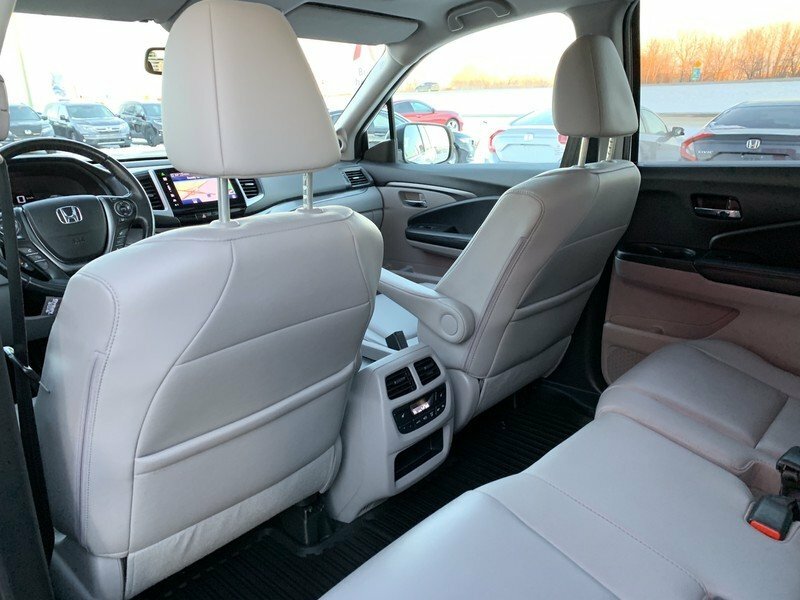 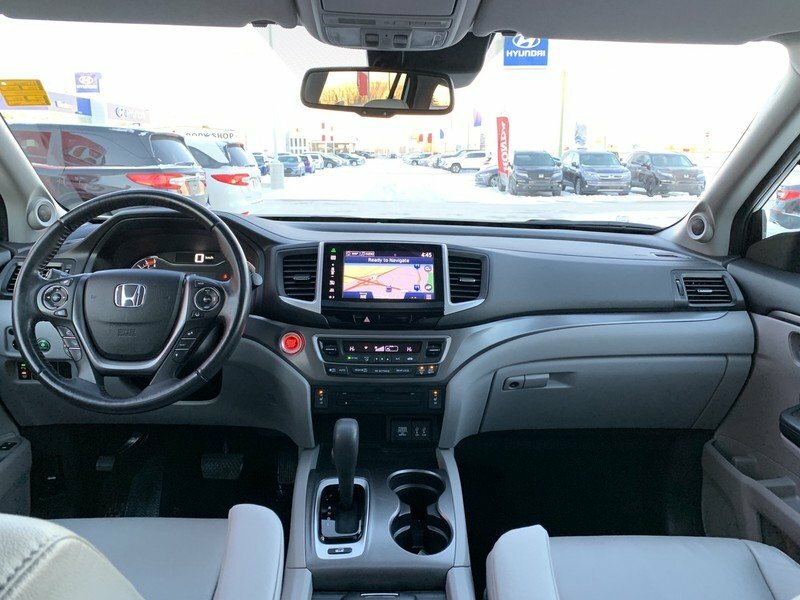 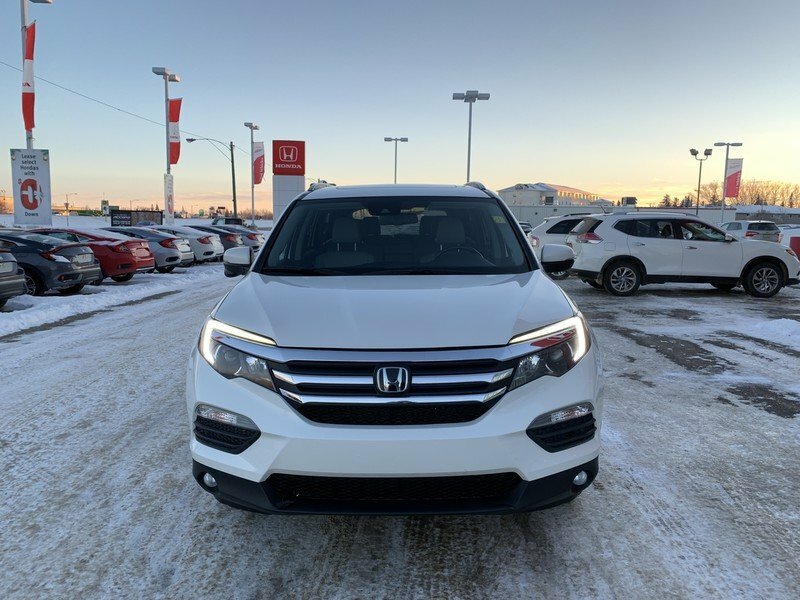 Designed with your active lifestyle in mind, the interior is family friendly with heated leather seats (1st & 2nd Row), color navigation, LaneWatch camera, sunroof, power liftgate, and tri-zone automatic climate control. 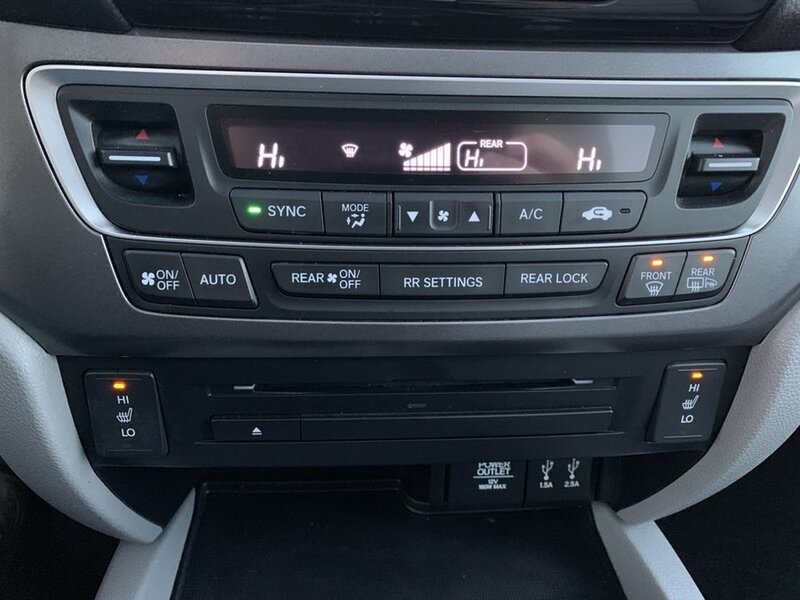 Bluetooth phone/audio connectivity helps you stay connected. 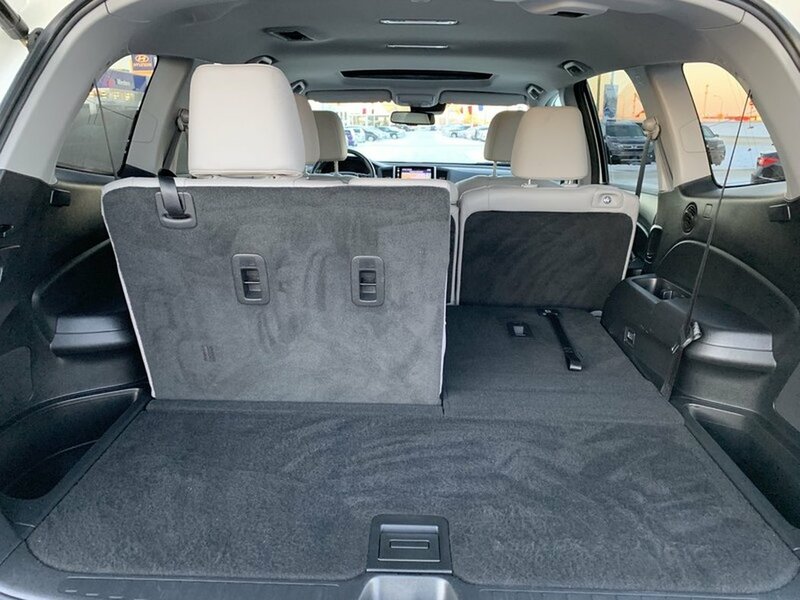 Able to comfortably accommodate adults, as well as children, the roomy second and third-row seats, allow a 60/40 split for maximum cargo space as well. 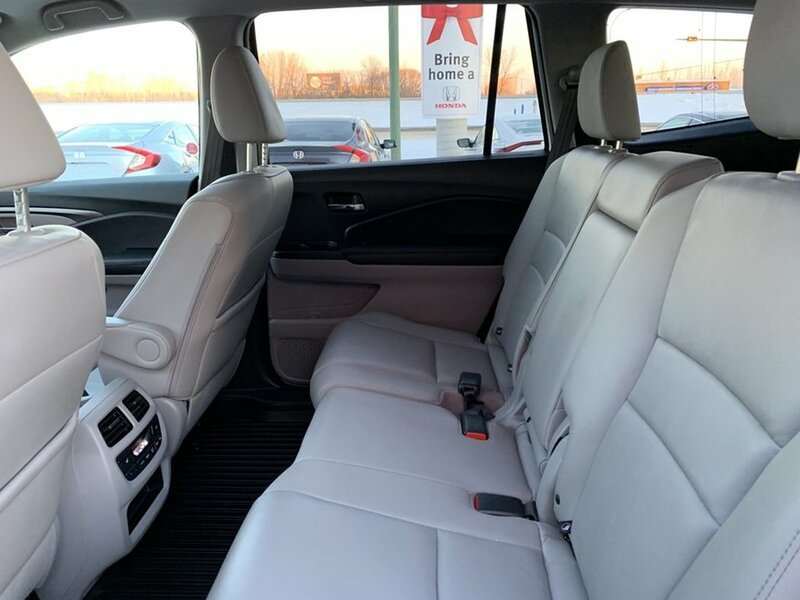 Your entire family will be comfortable in this beautiful vehicle. 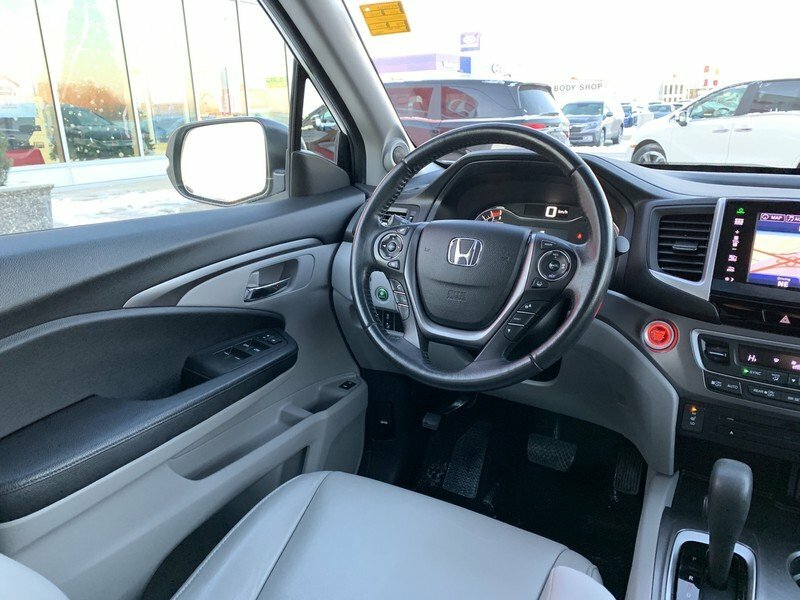 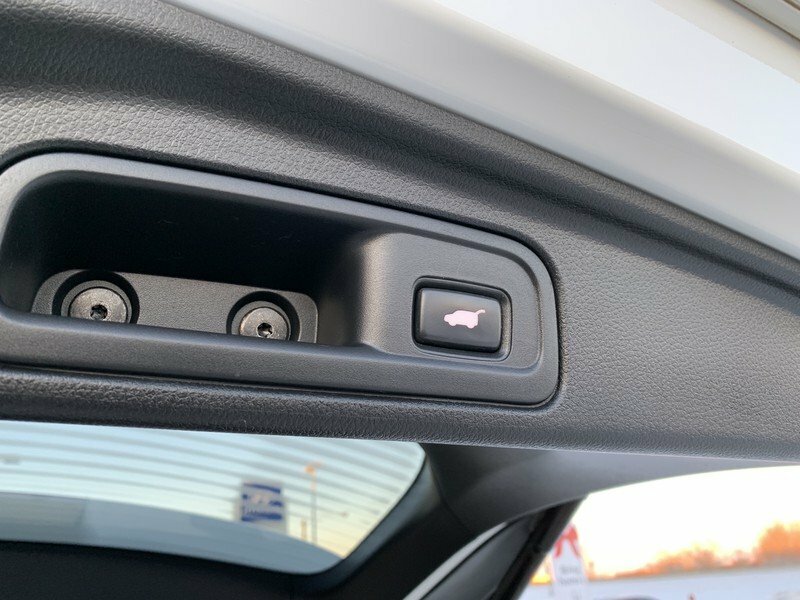 You can feel safe thanks to the anti-lock brakes, stability control, adaptive cruise control, lane departure warning, airbags and other advanced safety features.